Finally, the much awaited battle has begun, and it's the Englishment who have looked better than the Indians so far. After being put in to bat first, the English middle order showed what it takes to survive the condition at Lord's. The ball was moving quite a lot in the air even at ﻿60th over, but some excellent batting put up by Trott, Pietersen and Bell saw England making 450+ runs. When Strauss declared on 478, it was quite clear that only one team could lose the game. The Indian top order had an uphill task to play out the new ball and set the platform for the middle order to build on the innings. Gambhir and Mukund helped the cause by playing out 20 overs, but lost their wickets when team score was 63 and 77 respectively. 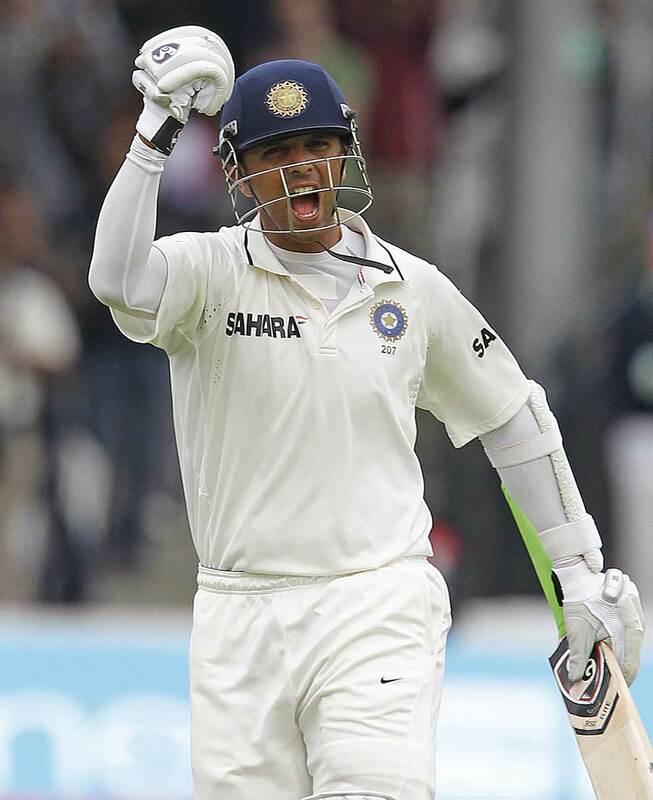 Rahul Dravid and Sachin Tendulkar batted brilliantly to add quick 80 to the score before Sachin was done in with a beauty from Broad. Laxman and Raina got out quickly. It was a job at hand for Rahul Dravid to take India to safer position. He started cautiously, defended the incoming deliveries as a rock, picked up runs off loose ones, kept his head cool and went on to score his first century at the Home of Cricket. 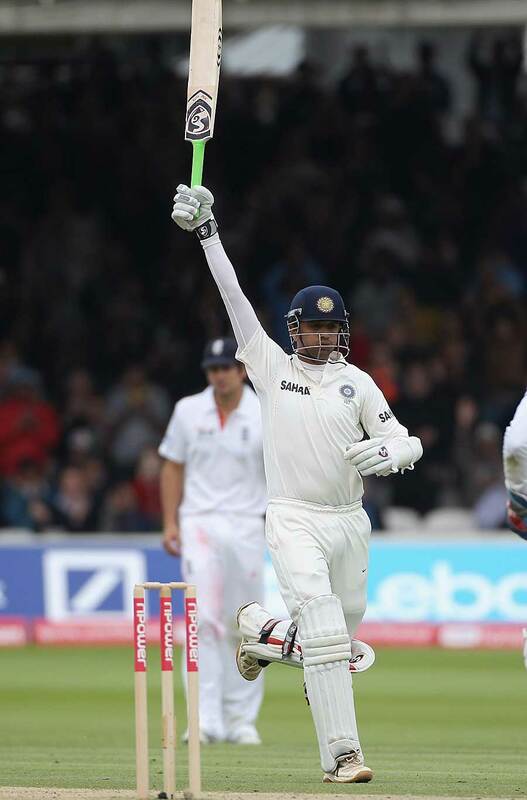 He had fought hard for this ton, and that was quite clear from his reaction after reaching the mark. He made sure that the follow-on was avoided and now his team had some chance to save the match. Team India hasn't started the tour the way they would have wanted to, but they surely will prove the mettle as the series goes on. Good luck Team India. Keep it up - Rahul Dravid! Dravid is unique and future generations will be compared to him instead of him being compared to anyone else (like Sachin to Bradman and Sehwag to Sachin etc etc etc). The "so called" great Mr Tendulkar is only second best regardless of how many runs he scroes on dead pitches and in dead matches. 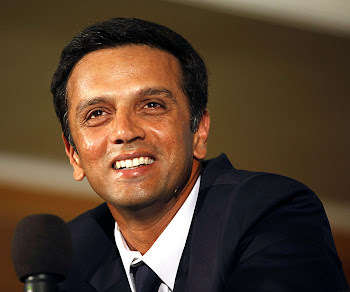 Dravid re-affirms (yet again) that he is the only true great player in this Indian team. The GREAT WALL RAHUL DRAVID.IT IS CALLED AS EXPERIENCE. congratulations Rahul... but very sad thing as he got out on 5th day of lords test very early. he had to save team india from defeat. 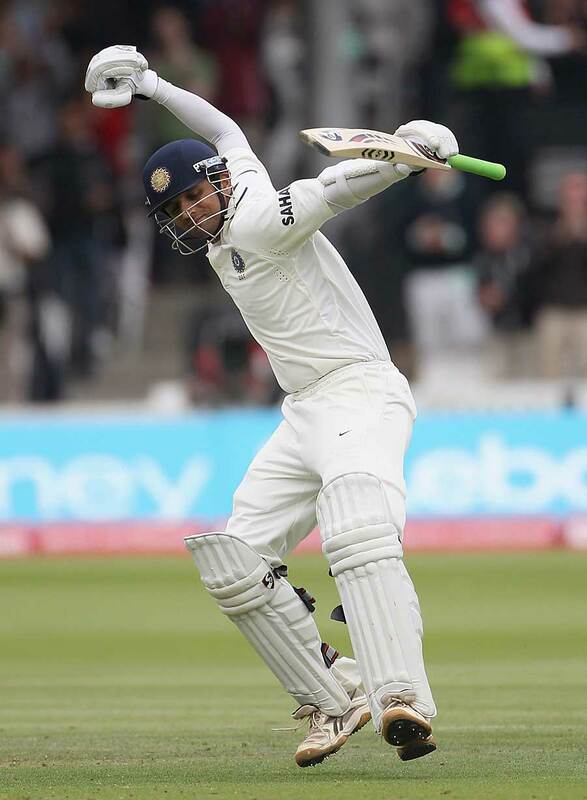 He is the only Indian batsman in present team to score a century at LORD'S...He surely shows his values in the team.,not for his past records but for his present brilliancy from his BAT.May god bless him in next match to score such a brilliant century in next match.In this test he is the only batsman to save the match...better luck for next time...we all with uuuuuu to make you success.